I am delighted to announce I am part of the line up for this month’s Bohemian Voices at the Jinney Ring in Hanbury. 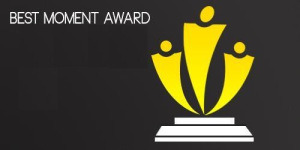 Steve Soden used to run this event in London and successfully ran an event last Autumn for the Jinney Ring. Steve is an intriguing and compelling artist who engages his audience with a strong presence. He has a book of poems To Hell and Back published and has released his third studio album this year Welcome to the Asylum. 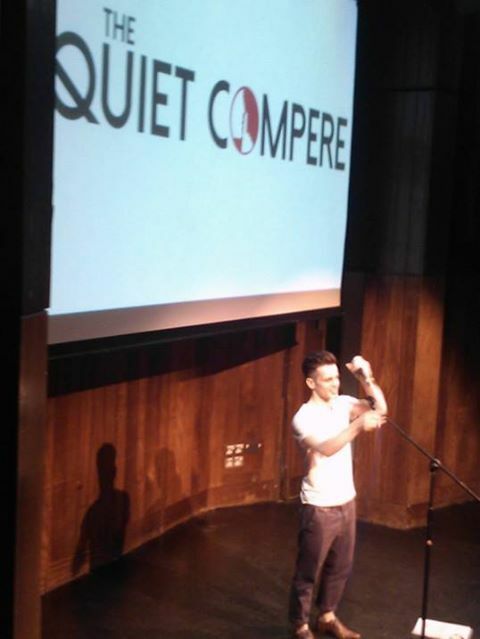 Matt who is a professional boxer has a unique talent and voice in contemporary poetry. Danielle Cawdell is a pianist and singer songwriter based in Birmingham, UK. Her music is uncomfortably beautiful; piano ballads peppered with riot girl guitar noise all lead by her delicate voice telling hard truths. She at once echoes both the classic writing of Joni Mitchell and the contemporary emotionally efficient arrangements of Perfume Genius. 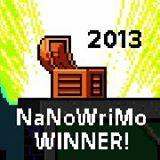 Nina is published in anthologies and magazines including Under the Radar and Abridged. Her poems have been used in Art Installations and on poetry trails at Wenlock Poetry and BIG Lit Festivals. Her début pamphlet Fragile Houses was published by V. Press in 2016. Masai Graham is a one liner comedian with jokes that range from clean and clever to rude and naughty. Either way, there’s something for everyone. 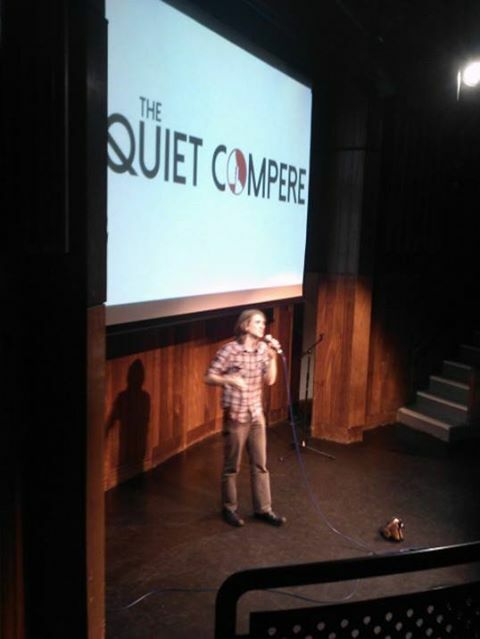 In 2016 he won both the UK Pun championships and the Joke of the Fringe. Essentially a slide guitar player, ocassional songwriter, drawing on country, hillbilly and early Rockabilly music as a source of inspiration. He has performed at festivals and gigged throughout the UK. Arrive at 7:00pm at Ring’s Restaurant for a welcome drink followed by a main course served from the counter. The first performance will take place from 8:00pm until 8:45pm. An interval will follow for dessert and coffee. The performances will commence at 9:45pm until 10:30pm. Tickets can be purchased online, by calling 01527 821272 or at The Gift Shop. This month I have writing to do I am editing and writing some new poetry, I also have to write my first commission for a performance on the 11th at Birmingham Literature Festival, there is also another project in the pipeline involving displayed poetry. Tomorrow I am hosting/ opening the Poetry, Performance and Everything Else Festival for Arts All Over the Place as well as taking part in some workshops, performing at Roy McFarlane’s Soulful Poetry Event and then hot footing to the Library of Birmingham for the announcement of the new Poet Laureate, both Matt Man Windle and Jasmine Gardosi are in this year’s finals! 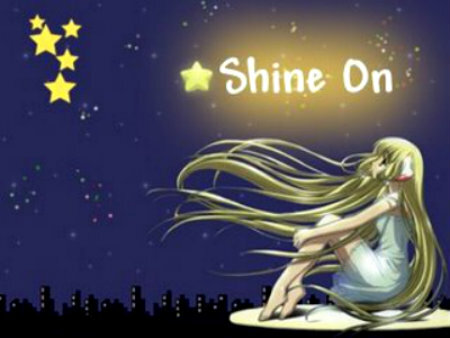 Friday I am working and resting, relatives will be up for my brother’s wedding, this Saturday. Saturday is obviously the wedding – I am reading a love poem and have been practising it without crying. 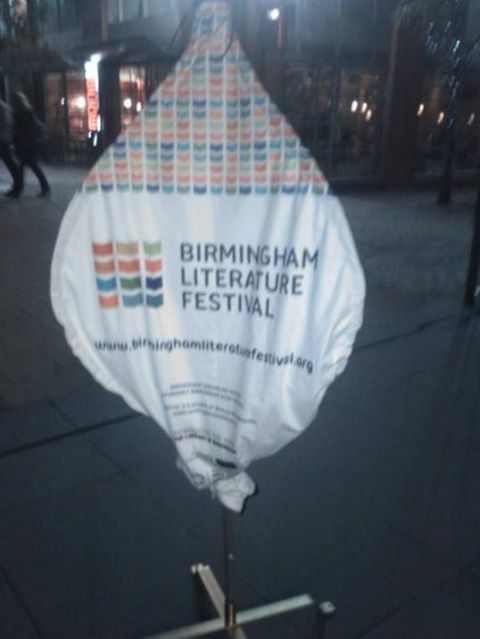 On Sunday I am back at Library – Birmingham Literature Festival – Poetry Please and Tell me on a Sunday Events to watch. 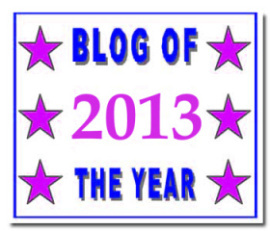 I am cutting back on Poetry Events due to the time needed for writing this month and will blog weekly. I am also hosting INKSPILL at the end of this month – right here on this blog! 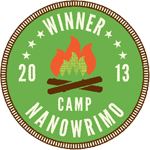 A FREE online writing retreat. 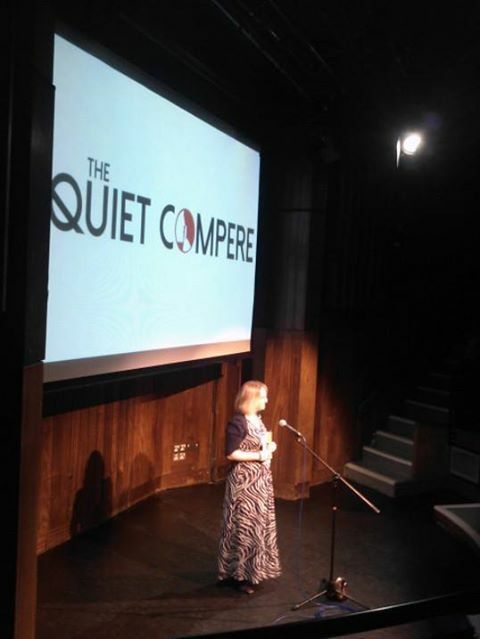 I only knew Sarah L Dixon through 52, Jo Bell’s challenge (which I have blogged about before – 52 poems in a year – one a week) there must be many poets meeting or at least making connections virtually. 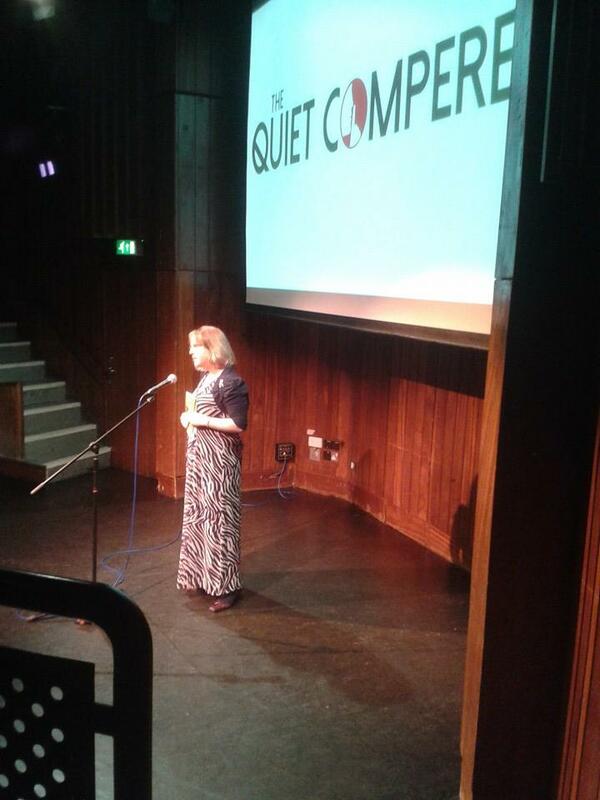 I hope to ask Sarah L Dixon to tell us more about her Quiet Compere idea, when she is less busy. 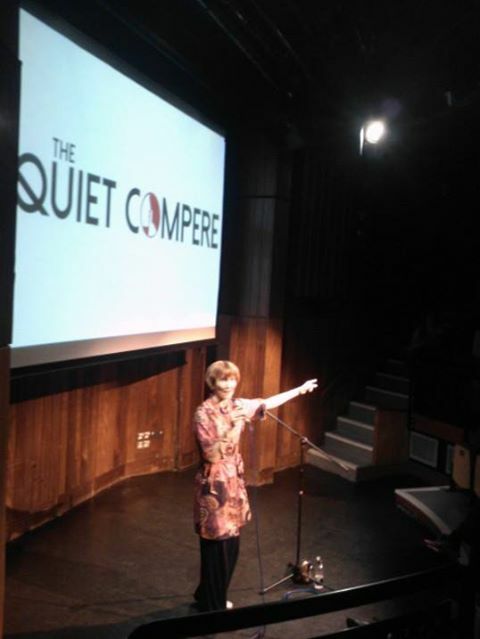 Basically she runs an open mic night in Manchester, the difference from other event is the format. 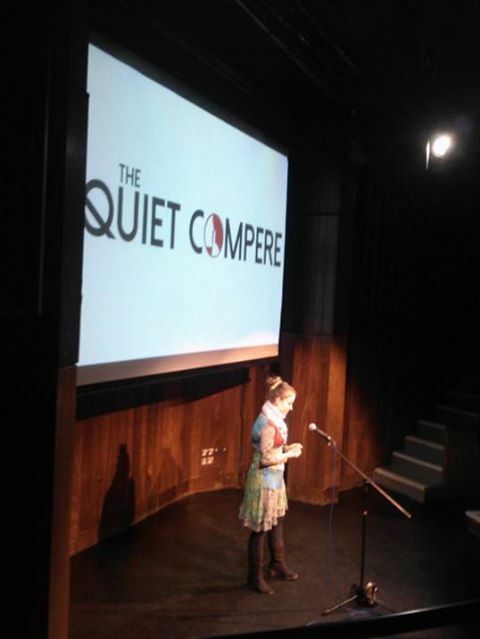 To allow the poet more time to share work she books 10 acts and gives them 10 minutes each. 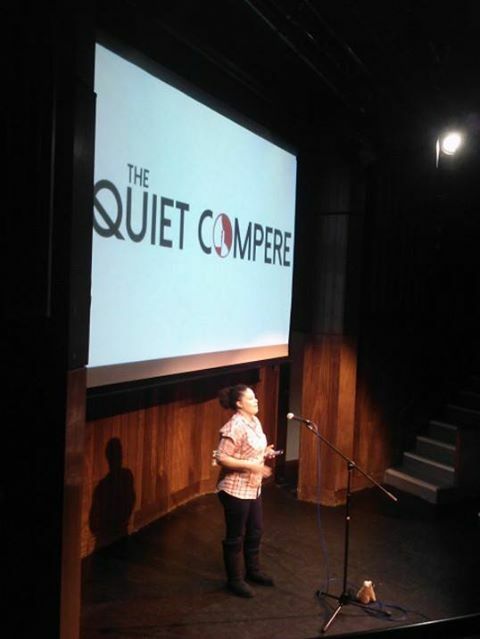 She had the idea of taking this format on the road regionally, got Arts Council Funding for her idea (I slip that in as if it were easy – but I am fairly sure that was a process on its own!) then starting taking herself on tour. 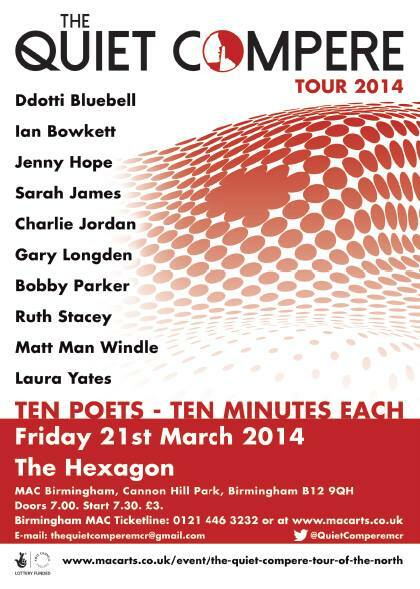 Each venue hosts 10 local poets who are pre-booked and they each delight the audience for 10 minutes. She has ‘toured the North with a jaunt into Birmingham’ – luckily enough. I saw the line up in late January/February and recognised many of the names. We heard the Manchester night sold out so we made sure (my poetry friends Claire Walker and Maggie Doyle) we had our tickets well in advance. You would expect to pay more than a fiver to go and see many of these names. The tickets were an ASTONISHING £3.00! 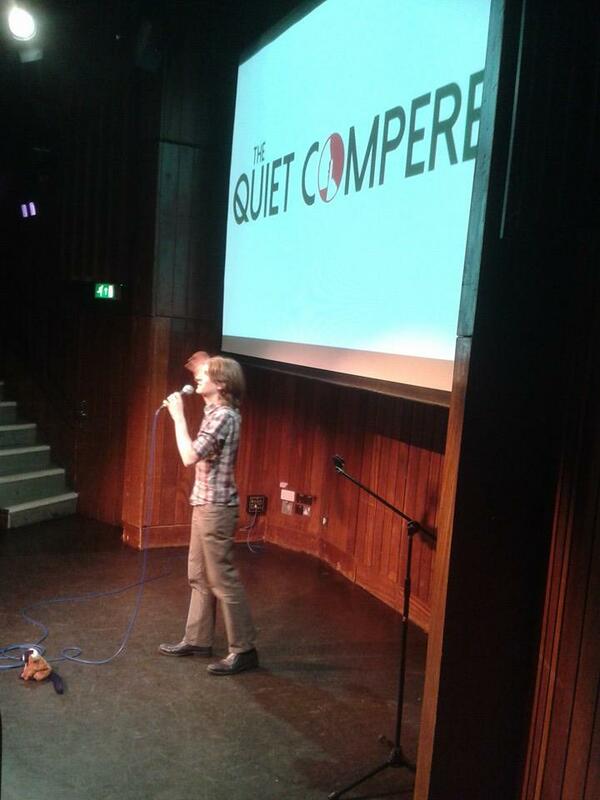 Entry to some open mic events is more than that! 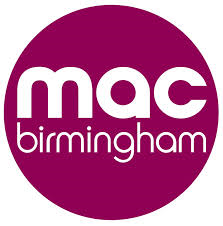 The Birmingham night took place at the MAC – Midlands Arts Centre – recently reopened after a 15million pound facelift! It has been closed for a while. There is so much that has been built up around it since I went over 10 years ago! 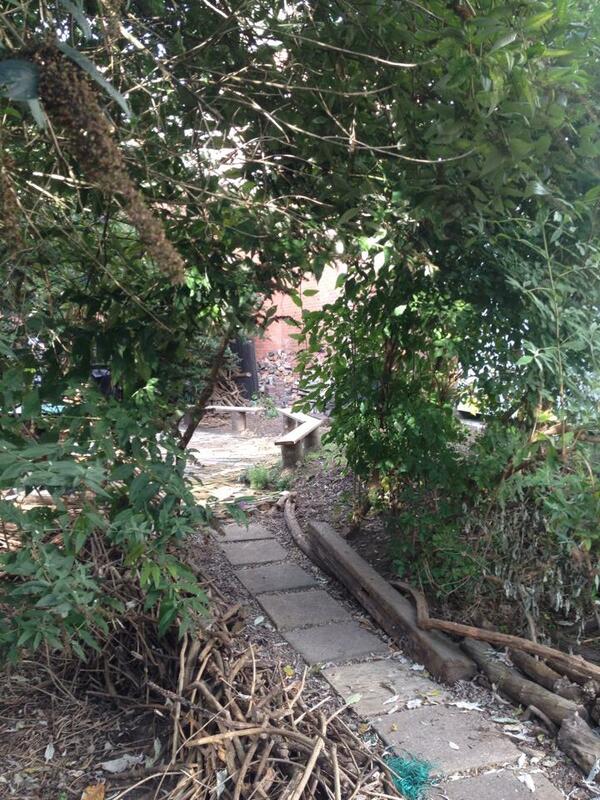 It sits nestled in Cannon Hill Park and is a great venue and just a few miles out of the city. Gary Longden was one of the 10 performers and although I knew him, from other poetry friends and his wonderful blog (to which there is a link), I had never met him. 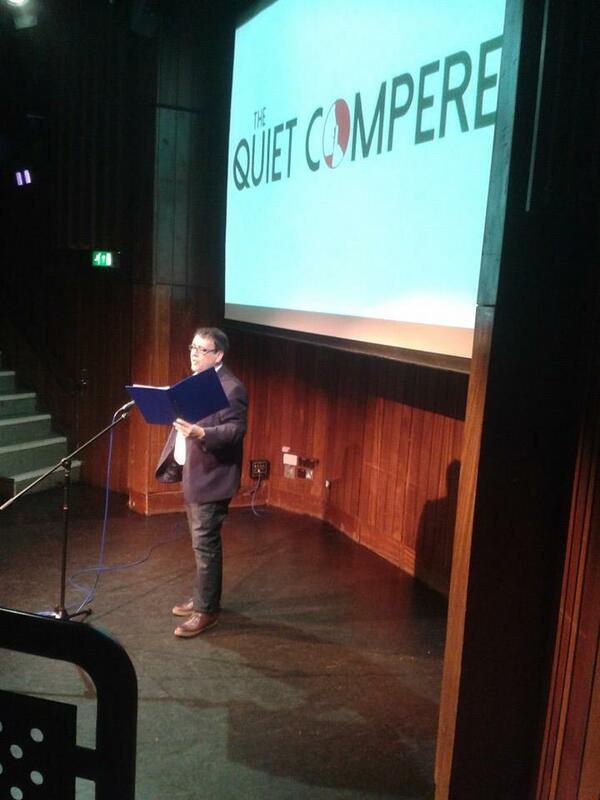 He runs Poetry Alight – the night in Lichfield where Michelle Crosbie performed last month. Another great night I missed…. so frustrating when there is so much on and I still have to work! I finally got to meet him, it was brief as he didn’t know who I am. 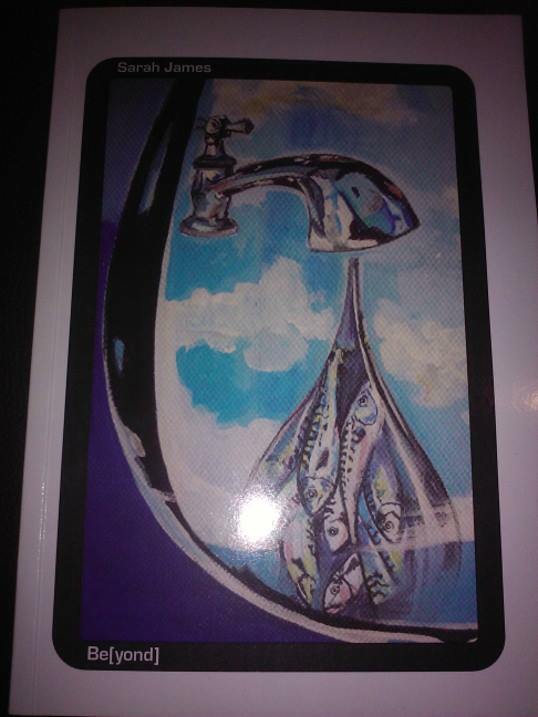 I hope to make it over to Lichfield soon, Andrea Shorrick (Swingerella) thinks they would like my poems! In the 6 months I have been back on the performance circuit I have been lucky enough to perform alongside 7 out of 10 of these poets. I met Sarah James at her book launch for Beyond – the same evening I watched Jenny Hope perform and met Ruth Stacey. These are the first poets I met in Worcestershire (on this set list) and they have all given so much to me over the past 6 months, including welcoming me to their celebratory curry meal – where I met lots more poets. 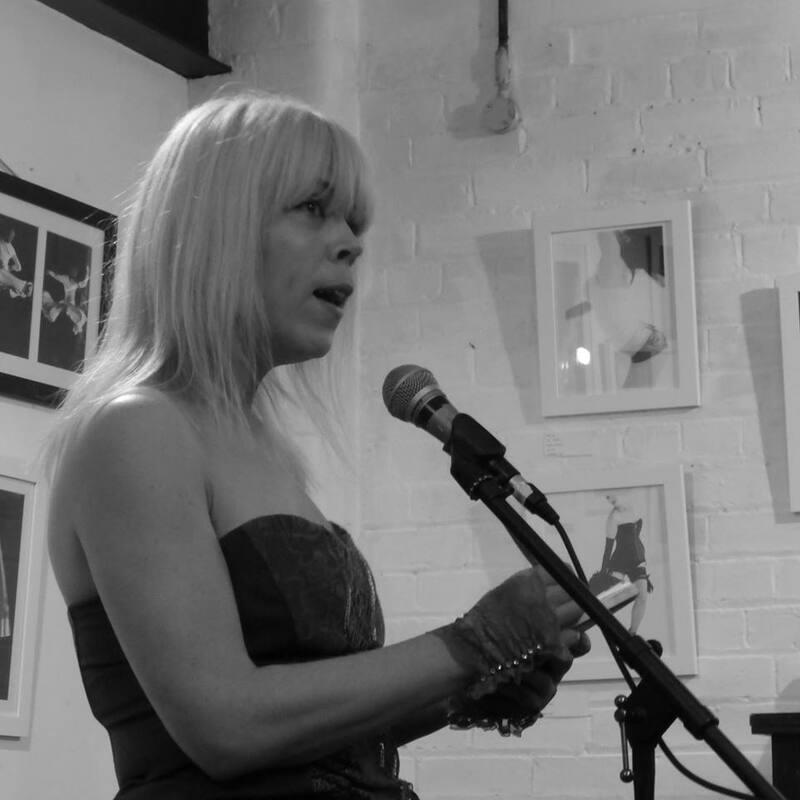 Sarah has her next event this Tuesday for Poetry Bites and has headlined at SpeakEasy (she has done a million other things but these are the connections to me). We also all went to The Writers’ Toolkit together in the Autumn. Jenny Hope is a lead writer for Writing West Midlands and Ruth Stacey works alongside her as an Assistant Writer. 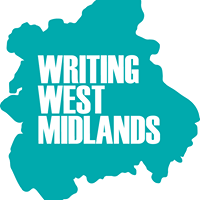 I had already arranged to work for Writing West Midlands as an Assistant Writer, the same day I met them. 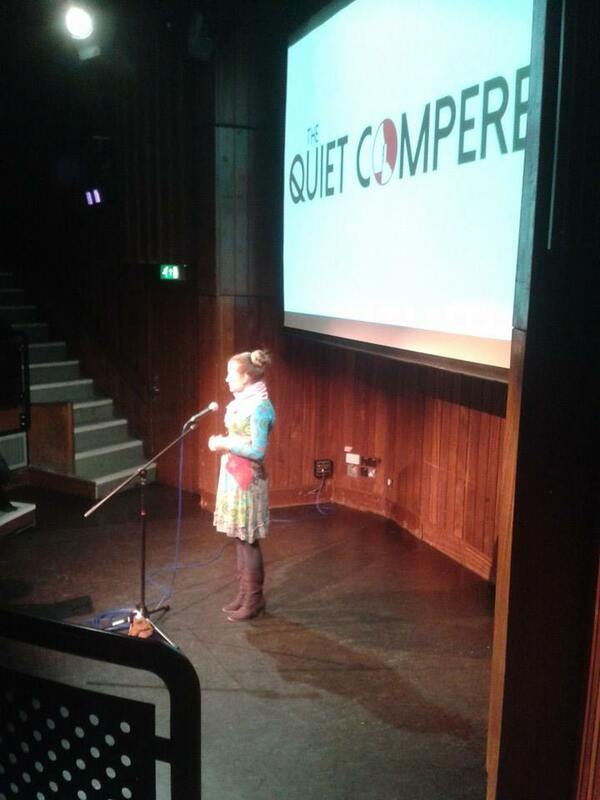 They have all performed at SpeakEasy and also attend Stanza meetings, Sarah is the Poetry Society leader in our region. As well as SpeakEasy, Ruth, along with Bobby Parker performed with me at the Kidderminster Creatives re-launch, BHG Gallery event. Bobby has also headlined SpeakEasy and I have also performed at the same Mouth & Music events – the open Mic in Kidderminster. Charlie Jordan I met through events we attended at Birmingham Literature Festival in October. We first performed at the same event in October, at Jan Watts Phenomenal Women at Birmingham University for the Books of the Future UOB Festival. 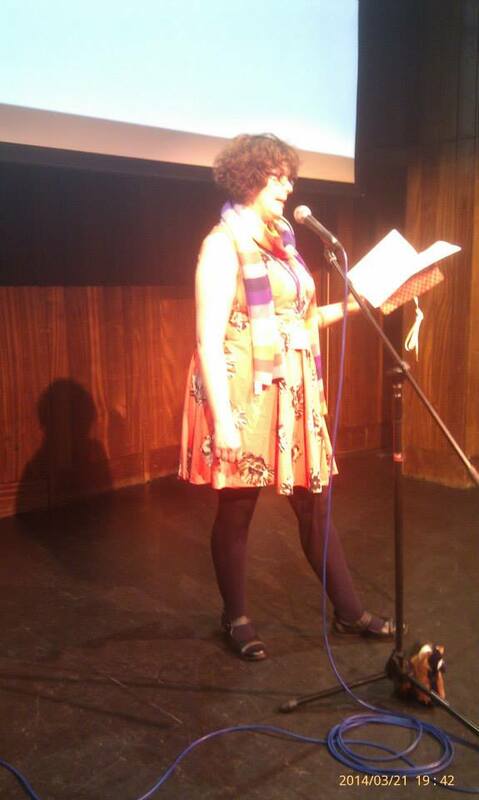 Since then we were at a Twilight Poetry Event at The Rep, organised by Joanna Skelt *Birmingham’s current poet laureate. We have been in the arena together at the amphitheatre at the Library of Birmingham performing for Jan Watt’s Poetry For Lunch. Charlie is also in the Decadent Divas although due to a top secret mission she was unable to make the latest Confab Cabaret event, this means the Decadent Divas have to come back and entertain us as the full 4 piece another time. Laura Yates, one quarter of the Decadent Divas headlined at Mouth & Music, as well as performing at Confab Cabaret as a Decadent Diva. Ddotti Bluebell runs Word Up at York’s Bakery and also performed at Najma Hush’s Dance Exhibition Gallery opening, which is where I met her and performed newly written Dance poems. I have seen her perform at Word Up too. She is another encourager on the scene and having only recently met her, feels like I have known her a lot longer. 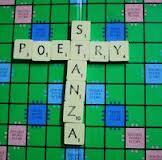 There were 3 new to me poets to enjoy; Gary Longden, Matt Man Windle and Ian Bowkett. 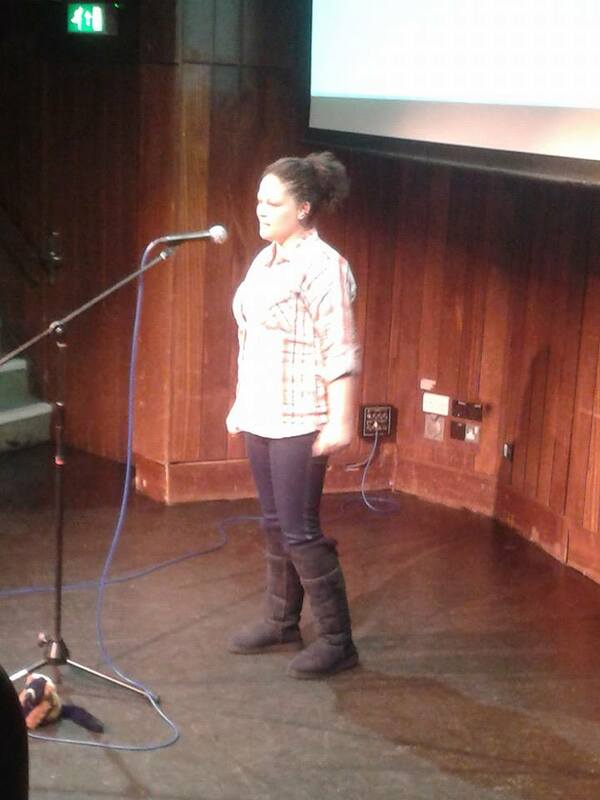 Sarah L Dixon treated us to some of her poems too. When you are an active poet you often hear the same poems being performed by people in different venues so it is great to come across new poets who have 100% unknown material. That’s not to say that I dislike hearing great poetry being repeated. 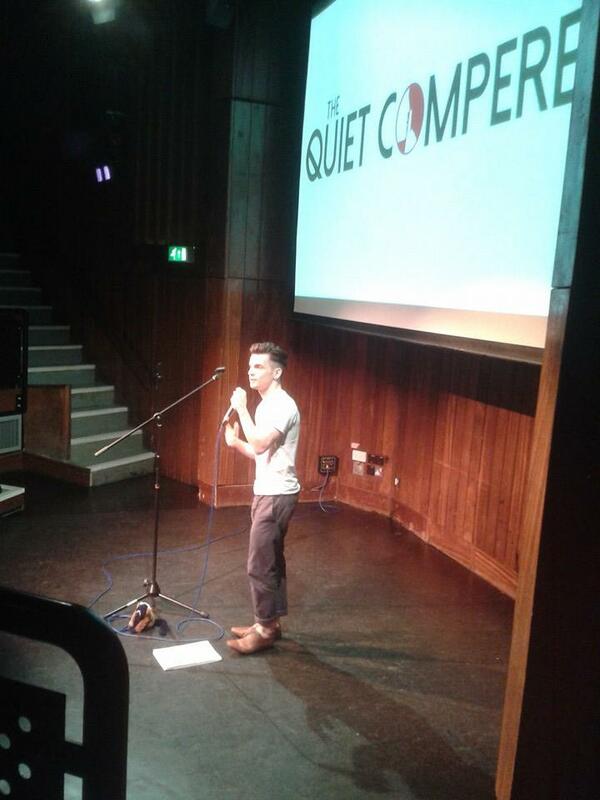 Everyone was incredible and the audience were blown away in quick succession by each performer. 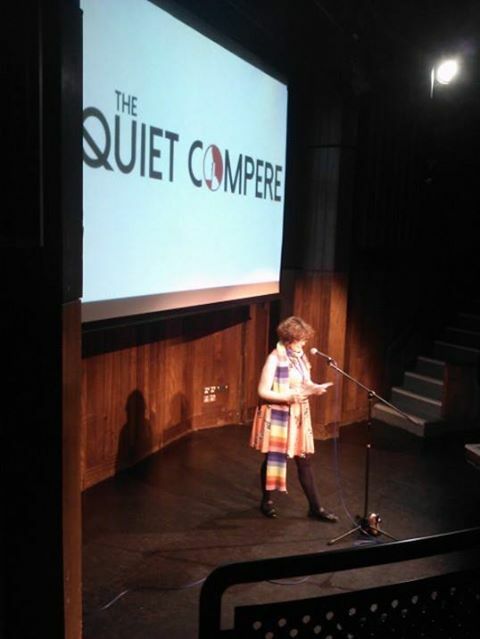 The evening was kicked off by Sarah L Dixon – I enjoyed her poems, observations of her three old and the world children inhabit, touching and entertaining. 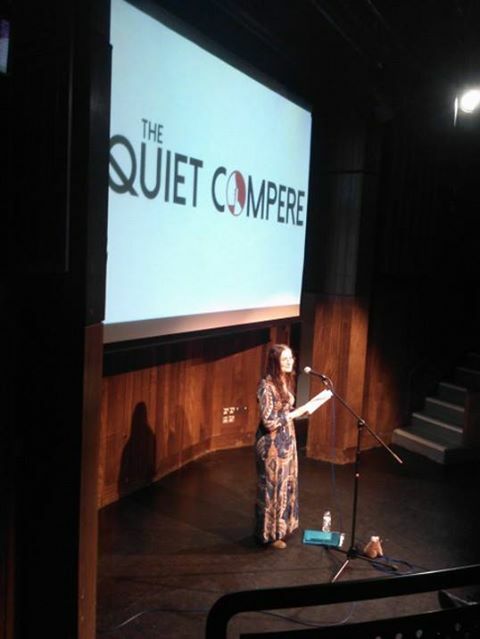 She introduces each poet simply by name and lets their poetry speak for itself. Ruth Stacey was the first to step up to the mic. I love Ruth’s poems and I know she doesn’t often perform. She is currently having great success in print and I look forward to reading her Foxboy collection when it comes out later this year. It was a real treat to hear Ruth and she shared poetry I hadn’t heard before alongside some of my favourites of hers that I have heard before. 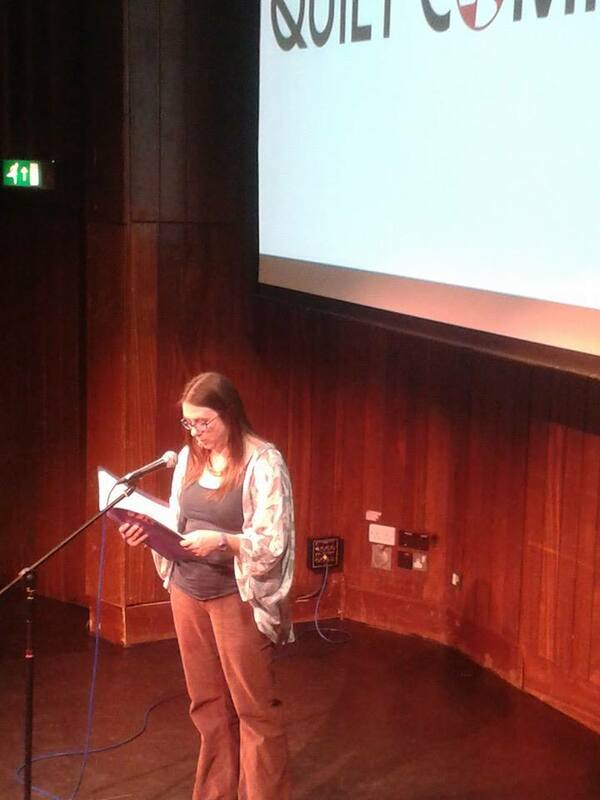 Laura Yates performed next and treated us to her Birmingham poem which I will never tire of. She is such a confident performer and we all enjoyed her work. Another poet that I could have spent all night listening to. Sarah James performed next, I haven’t heard her for a while – as I missed her headline at SpeakEasy due to Mr G’s birthday. I love listening to anything she reads her play on words and intelligent understanding of linguistics makes much more sense when it comes from her voice. Gary Longden performed next and treated us to some cheeky poems, none of which I had heard as this was the first time I met him, I liked what I heard and hope to listen to some more of his witty poetry soon. 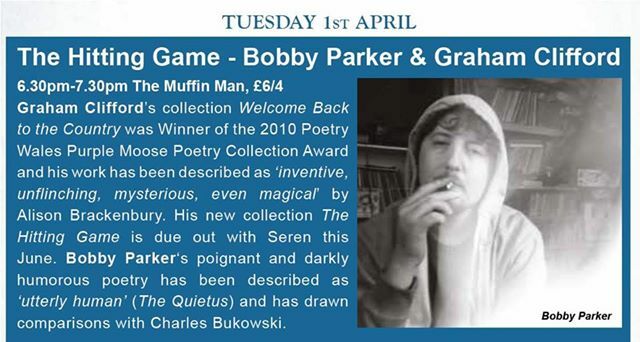 Bobby Parker in complete contrast took us all deep inside of him and shared some extremely raw poems which he performed confidently and then he shared one of my favourite poems about a friend who encouraged him to go to a special event, I won’t say more – you will have to buy his books or hear him perform. Charlie Jordan kicked off the second half with her wonderful performance. A true performance poet. She has been a Poet Laureate for Birmingham and the first poem she performed, I had heard before. The second one was new to me and absolutely adorable. She took us with us every step of the journey when she performed that. Ian Bowkett came next with his PHD and humour – he would have helped me understand Maths if I had met him earlier in my life for sure, he makes numbers fun, very entertaining and for his final piece he performed from heart and completed a Rubix Cube at the same time! COMPLETED! WOW – WOW – WOW! 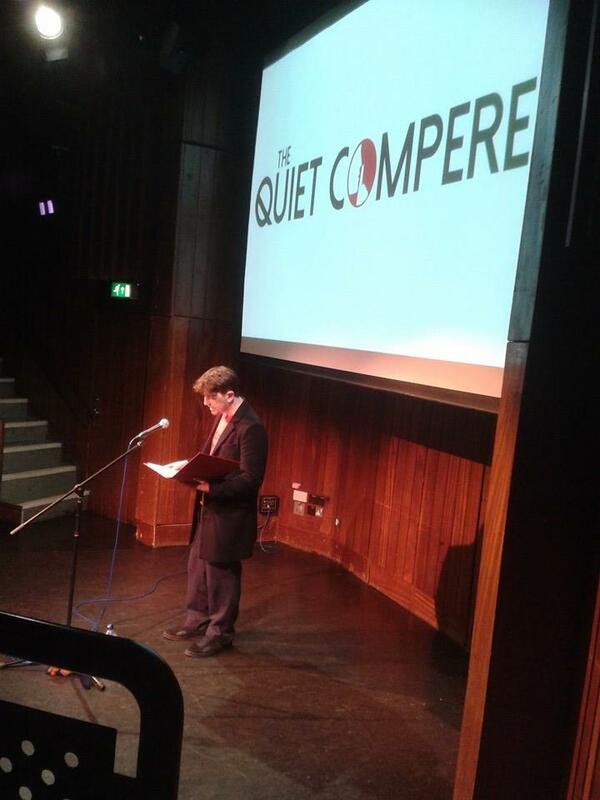 The Brian Cox of poetry (I mean that as a huge compliment) he is much younger of course. He said he didn’t want to follow Charlie, I have been there and it is a hard act to follow – he did brilliantly! 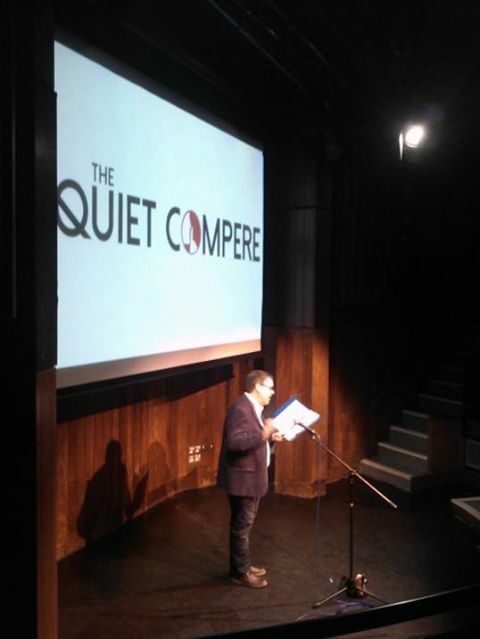 In fact that was something special about the Quiet Compere tour – these 10 Poets were all top class, there was no judgement on my part but you couldn’t have judged them apart if you’d had to… good job! Jenny Hope and her beautifully quiet voice, soft and metred came next. Again I love hearing Jenny perform and it had been a while since I last saw her. I loved her set. Could have listened all night. She hooked me in and I didn’t want the bubble to burst. 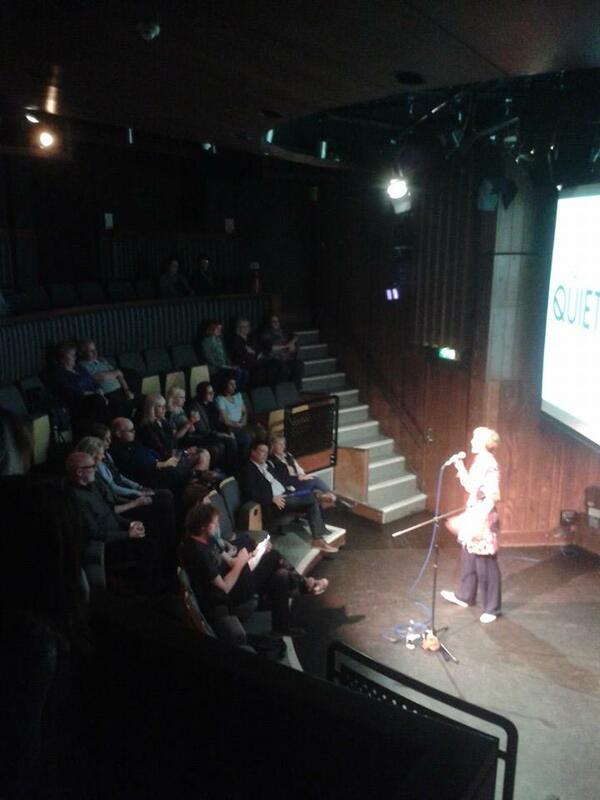 Ddotti Bluebell came next sharing dynamic poetry, some I had the pleasure of catching at York’s Bakery, it was brilliant – she must have had to use at least 4 voices and entertained us all with memories of her childhood and her brothers and being the only girl. Something I can empathise with. Matt Man Windle finished the night, great emotive performance he again was another natural born performer and I have since found out a boxer – well his poetry was certainly punchy! It was an AWESOME evening (in the true – yes, wow at the universe and it’s awesome expanse) type way and my Birmingham poetry friends met and saw my Worcestershire friends perform. Everyone had time to mingle afterwards, it was great having so many friends at this event. 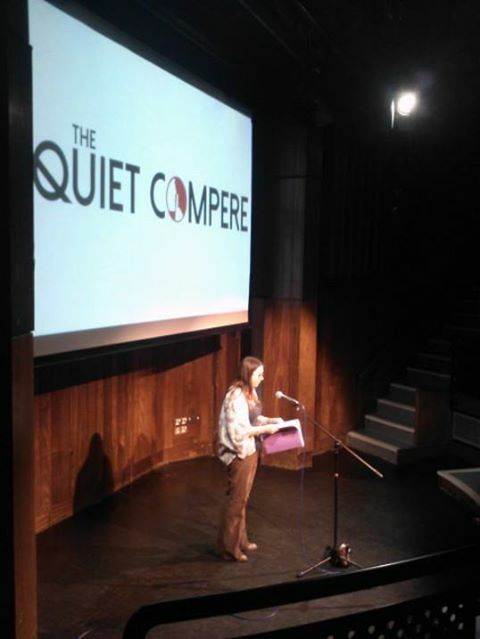 And the bit I can’t get my head around… Sarah L Dixon (coming from Manchester) had not seen these poets perform before – the evening was slick and each poet brought something special to the event. 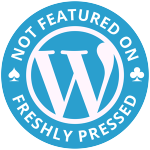 Check out Gary’s review – through the eyes of a performer. 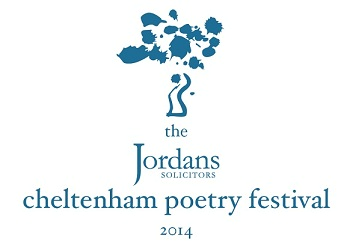 Sarah L Dixon’s next event can be seen as part of Cheltenham Poetry Festival which starts this week for a week. 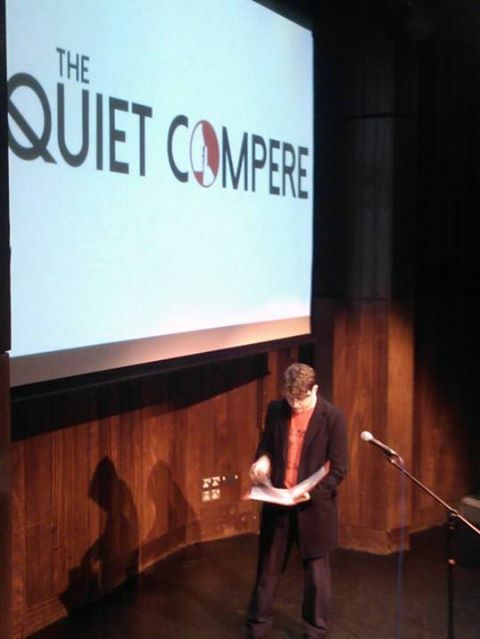 The legendary Quiet Compere events enlist established poets and emerging voices. tell you all you need to know. 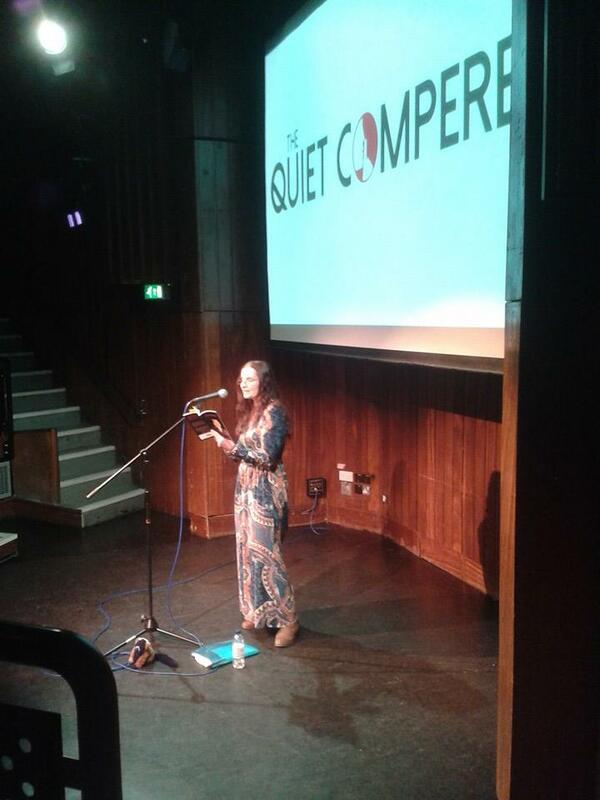 of course the compere herself, Sarah Dixon.